Ever been flying along on your CAP or running a SAR Op and wondered to yourself..Hmm..What does CAP mean, anyway? Well this neat page will give you the proper parlance to talk the talk of a Viper or Raptor jockey. It even provides some cute phrases to use back on the Kharon. Take the list for what it is. Its here for your convenience. This page has profanity, so if you're one of the sensitive types? Go away. Knowing what is on this page is not required to play. Not even close. Its just a fun reference for people and may even provide players with some RP ideas. If you want to use this terminology and someone around doesn't know what it means, explain in meta. 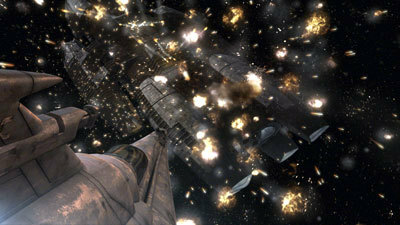 Feel free to add to this page, but please keep it thematic to BSG. Some of this is not, but is easy enough to remember. No reason to complicate things. The list was originally compiled and written by Walt Chamberlain. It is almost entirely his creation with small additions made and a lot of irrelevant material removed. IE: A Viper pilot wouldn't know the fun nickname for Mountain Home AFB. CAP: Combat Air Patrol. Pronounced like it sounds. Cruising at medium-to-high altitude over a certain area in search of enemy units or aircraft. A video of A-1 Skyraiders performing Close Air Support in Laos circa 1968. The “Gimble” off of a US Navy aircraft carrier. This lighting position indicates the pilot is so low that they need to "Wave Off." 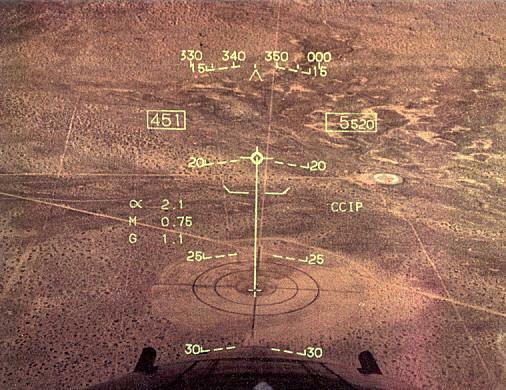 The HUD from a USAF F20 Tigershark. The heading tape across the top indicates magnetic compass direction of travel, which is 345. The boxed number on the left is the indicated airspeed (including wind). The boxed number on the right is the radar-altitude (distance to packed Earth, not sea-level) given in feet. Wave Off: A pilot blew their landing and this instruction will come from the LSO. It instructs the pilot to terminate their landing attempt and go around again.